1. 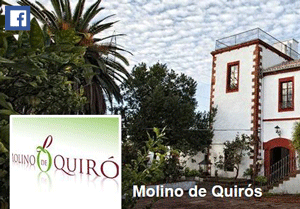 When the olives arrive at the 'almazara', they are cleaned, washed and weighed in two reception lines. Immediately afterwards, they are introduced into special hoppers where they are prepared for grinding and pressing. This allows the vehicles carrying the olives to unload quickly and efficiently to waste no time for farmers. 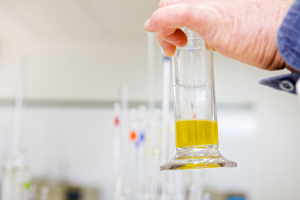 At the same time, samples are taken for laboratory analysis of acidity, performance, etc. 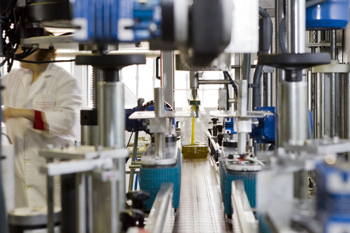 The results are used to classify the oil and to determine its quality. Afterwards, from the storage hoppers they are moved to the hammer mill which crushes them into a fine dense paste which then goes directly to the thermal mixer (or malaxator ). 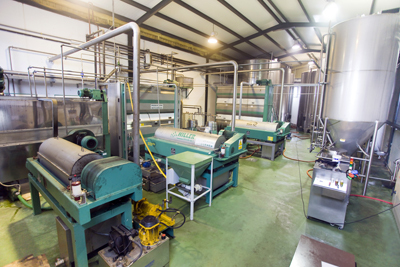 This machine stirs the paste for two hours, after which it is transferred to the decanter , a mechanical device that separates the solid phase from the liquid phase. 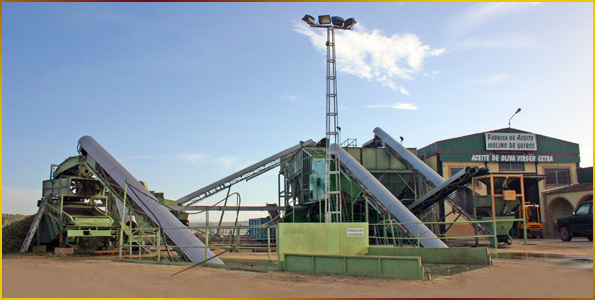 The solid phase in a dense pulpy state ('orujo', i.e., pomace ) is sent by a powerful hydraulic pump to a storage hopper outside the factory from where it is taken to the 'orujera' for further processing. Decanter and exit of the liquid phase. 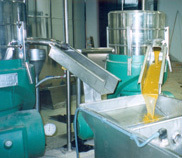 The liquid stage, which contains the oil on the one hand and the water on the other, together with some solids in suspension (minuscule particles of olive), goes through a boost pump to special tanks where the water and almost all the solids are extracted after a process of natural decanting, which lasts a number of hours. After this decanting, the oil runs through a novel filtering system to remove almost all the remaining solid particles. 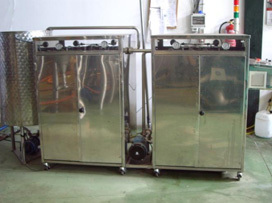 With this process, we prevent the oil from emulsifying, which occurred with the previous vertical centrifuge system, while avoiding the high consumption of washing water caused by the use of these vertical centrifuges. 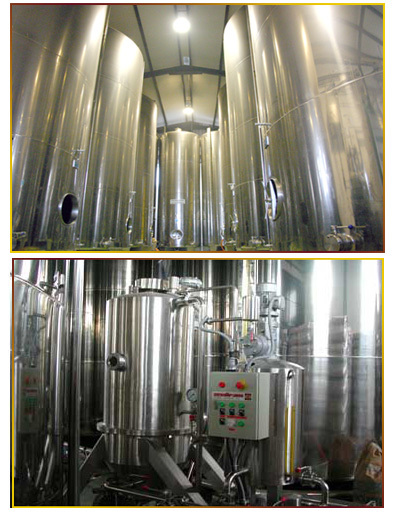 The oil, now in its pure form, is taken directly to the cellar and introduced immediately into stainless steel tanks where it is classified according to its quality. Here the decanting process necessarily continues in order to eliminate the initial cloudiness. 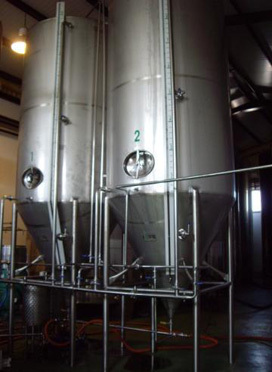 Finally, the extra virgin oil that is to be packaged is put through a special high filtration machine. Once this has been done, the oil goes to the packaging section where factory personnel introduce it into glass bottles, plastic PET containers or printed tin cans. 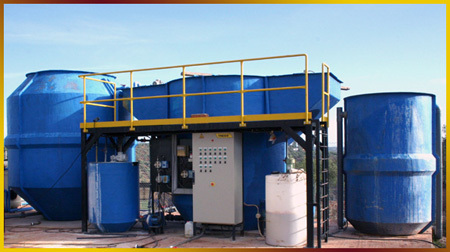 Due to our absolute respect for the environment, we have installed recently a waste water treatment plant for the liquid phase of the grinding and pressing process. This system makes it possible, on the one hand, to use the treated water for irrigation and, on the other, the solid compound can be combined with the pomace and the leaves from the cleaners to obtain a magnificent compost (fertilizer for the crops). That is, all the organic matter can be recycled for reuse, while at the same time preventing environmental pollution.